ART350, in the gallery space in Bagdat Caddesi-Erenköy, presents Brigitte Spiegeler “Byzantine Blue” exhibition in May, with the support of The Kingdom of the Netherlands Consulate General for the celebrations of 400 years of diplomatic relations between the Netherlands and Turkey. Exhibition can be visited Daily between May 10-31. Philip Peters comments on Brigitte Spiegeler’s Byzantine Blue works: “Byzantine Blue does not exist, at least not as usual indication of a known color, like yellow ochre, burnt Siena or Prussian blue. But we do know it , namely as the title of a series of works by Brigitte Spiegeler, in which series both Byzantine elements like the color blue occur and interact with each other without the relationship being necessarily congruent and nowhere Byzantine becomes a function or gradation of the blue. 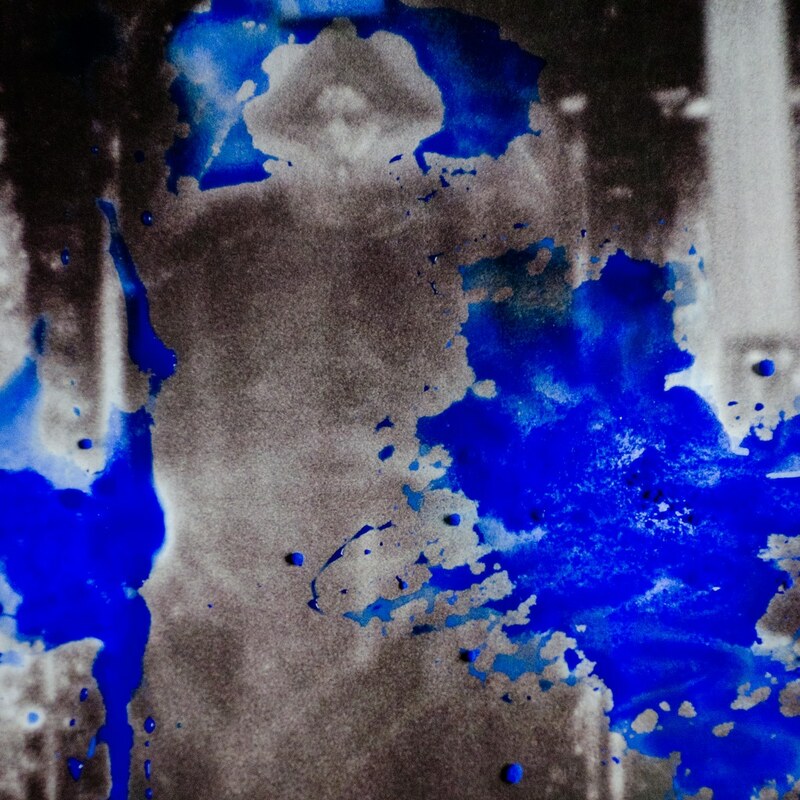 At first instance, these works are simple to describe: it is about images captured with a pinhole camera presented in a square form mostly and on parts of the image blue is applied in the form of crude pigment, a combination of water and ink, or water and pigment. While the picture is still wet, the whole is then photographed again, this time with an “ordinary” digital camera. By the “Übermalung”, parts of the original representation are hidden from view, but never so much that no major visual elements are remaining. Unlike a more iconoclastic over painting, these are the dynamic significance of the interaction between two visual resources: the more original image is not be attacked and destroyed, but it is nuanced and layered. The photos in this series are all made in Istanbul a city with a long, eventful and venerable history in which different traditions and religions have played a role and left their tracks, sometimes, as with the Aya Sofia, in one building. It is a fairy tale, dazzling, busy modern and yet at times dilapidated city, a city of stories and legends on the border of East and West, a city of prospect and nostalgia that looks both hopeful for the future as melancholic to it’s past. Something of such bewildering complexity in space and time is reflected by the materials used for this work. Each photo captures by definition a moment that, immediately afterwards is all ready over in this respect, photography is a prime material of history. This is even stronger for black and white photos, which have something old fashioned since the moment it has been possible to work in color. And the use of a pinhole camera amplifies this effect largely: nothing is quite sharp, the tone is that of a bygone past, people are ghosts, building their own history, the world is a shadow and magic. Such a picture is like a reminder: fuzzy, blurry with sudden details catching the eye, close (the remembrance takes place in the here and now) but also at the same time infinitely distant, elusive (the subject of memory is in a lost time). We can dream of it, but we cannot really walk around in it, we can point out to it, but we cannot get it.